Selling your home can sometimes be a long and complex process, with many factors to consider. Many homeowners think about replacing their home’s roof at this time. Helke Construction provides professional, customized roofing, framing, and siding services to Washington, Idaho, and Montana. Your Home Will Have Greater Curb Appeal: Your home only has one chance to make a first impression on a potential buyer, and a beautiful new roof can have a positive impact on that impression. When you work with Helke Construction, their employees will approach your residential roofing project with honesty, integrity, and a passion for providing you with the perfect roofing solution for your home. 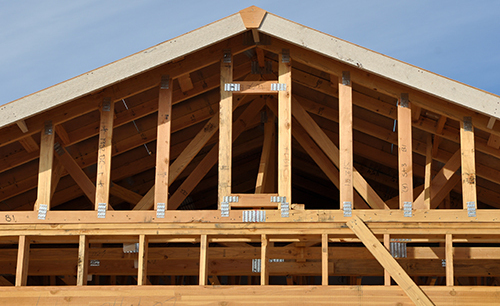 Your Home Will Be More Valuable: A new roof is a great investment because it will increase your home’s overall value. Also, you can choose new shingles that are more attractive, durable, and energy efficient, which are all very alluring traits to buyers. Your Home Will Be Easier To Sell: Many buyers are only seeking homes with a new roof. When you offer a new, high-quality roof installed by Helke Construction up front, you immediately make your home more competitive on the market and easier to sell. When you are preparing your home for a successful sale, Helke Construction will be glad to replace your roof. They’ve been serving residential properties since 2008 and have an A+ rating from the Better Business Bureau. Visit their website to learn more about their expert roof repair, restoration, and replacement, or call (509) 220-1717 (Washington Location) or (406) 871-5858 (Montana Location) to schedule an in-person consultation on your project today.